The Great British Meat Co is the brainchild of three meat-loving friends, who decided to turn their passion for meat into a business. These guys are fully trained, professional butchers who saw a gap in the market for selling meat online. Their ethos is simple - they want to provide customers with top quality British meats, expertly butchered and delivered while supporting farmers to ensure the production chain is as localised as possible. If you love a prime fillet of beef, a Silverside Joint or some chicken breast fillets to serve up on a Sunday lunchtime - The Great British Meat Co is the place to shop if you like a cut above the usual supermarket offerings. Shopping with The Great British Meat Co couldn’t be more simple - either click on the animal symbols at the top of the homepage, or go to the Special section, if you’re after a last-minute mega deal. If you’ve organised a dinner party for some meat-loving friends but you’re a bit stuck for ideas as to what to serve up for your main course, why not browse the Recipes & Tips pages for some inspiration. How do I use my The Great British Meat Co discount code? Sign up to the mailing list to receive a weekly round up of exclusive offers. How do I know The Great British Meat Co products are high quality? The Great British Meat Co has a customer promise that stipulates all meat is the best quality, and 100% of British origin. See the 'Our Meat' section for more details. Will The Great British Meat Co cut the meat to my specific requirements? Yes, you can choose any type of cut because the butchery is carried out in-house. Can I cancel my The Great British Meat Co order? If you change your mind, call: 0191 4489301 or email help@greatbritishmeat.com as soon as you can. Try to contact customer services before 10am the day before delivery. If your order is already with the courier then unfortunately, you can't cancel the order. Saturday Morning Delivery costs £25. DPD Couriers deliver your meat between 6.00am and 10:00pm on the date you choose at the checkout. If you’re not satisfied with your products, Great British Meat Co will refund you. Simply send it back, and you’ll get a refund straight away. 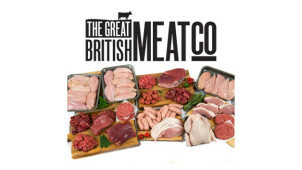 The Great British Meat Co is an online butcher shop, selling top quality British meat products at everyday prices. Put a Great British Meat Co discount code to excellent use when you purchase some prime cuts and meat rubs and save some pennies at the checkout. If you’re hosting a party and can’t get to the supermarket, Great British Meat Co is a great place to find bargain priced meat - ideal for feeding a large group of people. The Great British Meat Co’s Master Butcher always aims for perfection, buying in the best regional meat and maturing it in the ageing room. Fresh meat tastes better, which is why Great British Meat Co products are cut to order the day before you get it. If you want it cut to special requirements, that’s no problem. Unlike other online butchers, Great British Meat Co does all the butchery in-house, meaning that the meat hangs and matures for longer, ensuring that natural flavours form. If you’re a family of meat-lovers with an insatiable thirst for burgers, chicken thighs and rib-eye steaks, you’d better head to the Specials page of the website. Use a Great British Meat Co voucher to purchase some bargain priced burger and sausage packs or a 5kg pack of chicken breasts to keep everyone happy for longer. These offers are only available for a limited time, so make sure you get in quick and check back often!